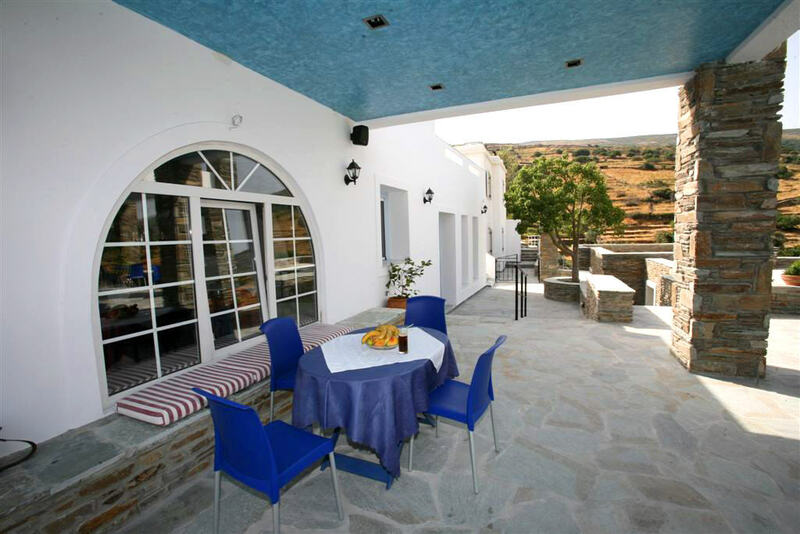 Aiolos is located in Menites, a village 4km away from Chora, the capital of the island, and 30 km from the port of Gavrio. By ferry from Rafina, Andros is just two hours away. The complex consists of 17 rooms, built above the green slopes of Menites, overlooking the peninsula of Chora and the endless Aegean. The beautiful Chora, with its picturesque streets and neoclassical mansions, is the center of civilization with the permanent exhibitions on the Archaeological, the Navy and the Modern Art museum, and the exhibitions of famous Greek and foreign artists eachsummer at the museum of Modern Art, the Kydonieos Foundation and the Kairis Library. 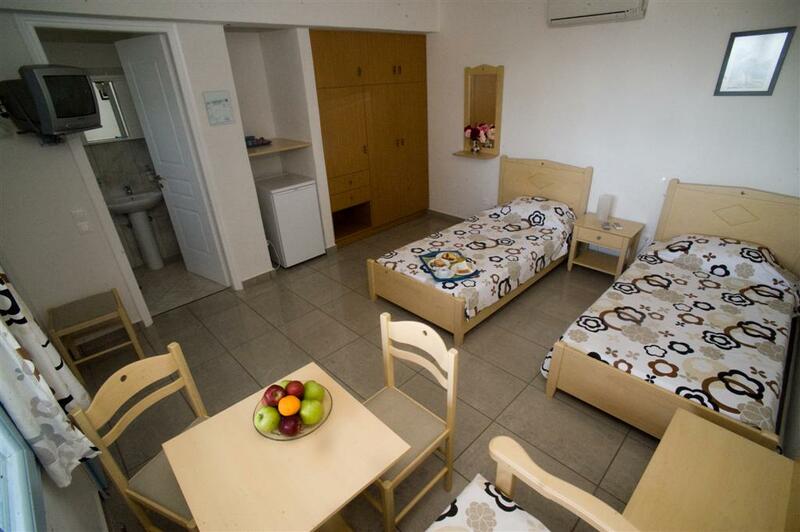 Aiolos is surrounded by big gardens and offers the possibility of parking. 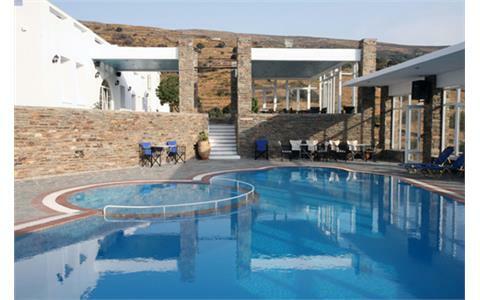 In the area there is a breakfast room where you can enjoy your breakfast by the pool, overlooking the sea. 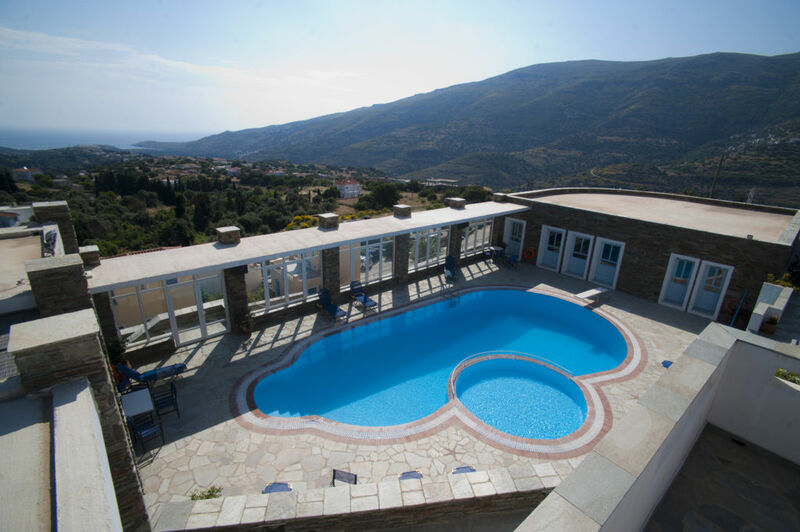 Aiolos has a pool with separated children?s section and a large surrounding area which is provided for events, with the possibility of hosting of 250 people.